Home » Airport Asia Aviation Latest News. IndiGo (Registered as Interglobe Aviation Ltd.) is a low-cost airline headquartered at Gurugram, Haryana, India. It is the largest airline in India by passengers carried and fleet size, with a 38% market share as of August 2017. 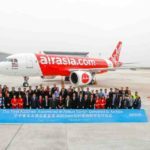 It is also the largest individual Asian low-cost carrier in terms of jet fleet size and passengers carried, and the Seventh largest carrier in Asia with over 41 million passengers carried in 2016. The airline operates to 48 destinations both domestic and international. It has its primary hub at Indira Gandhi International Airport, Delhi. Jet Airways is a major Indian international full-service airline based in Mumbai. In July 2017, it was the second-largest airline in India after IndiGo with an 18.2% passenger market share. It operates over 300 flights daily to 68 destinations worldwide from its main hub at Chhatrapati Shivaji International Airport and secondary hubs at Amsterdam Airport Schiphol, Chennai International Airport, Indira Gandhi International Airport, Kempegowda International Airport and Netaji Subhas Chandra Bose International Airport. Air India is the flag carrier airline of India.It is owned by Air India Limited, a government-owned enterprise, and operates a fleet of Airbus and Boeing aircraft serving 90 domestic and international destinations. The airline has its hub at Indira Gandhi International Airport, New Delhi, alongside several focus cities across India. Air India is the largest international carrier out of India with an 18.6% market share. Over 60 international destinations are served by Air India across four continents. Additionally, the carrier is the third largest domestic airline in India in terms of passengers carried (after IndiGo and Jet Airways) with a market share of 13.5% as of July 2017. The airline became the 27th member of Star Alliance on 11 July 2014. GoAir is a low-cost carrier based in Mumbai, India. It is owned by the Indian business conglomerate Wadia Group. In July 2017 it was the fifth largest airline in India with an 7.8% passenger market share. It commenced operations in November 2005 and operates a fleet of Airbus A320 aircraft in all economy configuration. As of October 2017, the airline operates over 140 daily flights to 23 cities from its hubs at Mumbai, Delhi and Kolkata. AirAsia India is an Indian low cost carrier headquartered in Chennai, India. The airline is a joint venture with AirAsia Berhad holding 49% stake in the airline, Tata Sons holding 40.06% and Arun Bhatia holding the remaining 10% through his company, Telestra Tradeplace. Air Asia India commenced operations on 12 June 2014 with Bangalore as its primary hub. Tata SIA Airlines Limited, operating as Vistara, is an Indian domestic airline based in Gurgaon with its hub at Delhi-Indira Gandhi International Airport. The carrier, a joint venture between Tata Sons and Singapore Airlines, commenced operations on 9 January 2015 with its inaugural flight between Delhi and Mumbai. The airline had carried more than two million passengers by June 2016 and as of May 2017, has a 3.3% share of the domestic carrier market, making it the 6th largest domestic airline. The airline operates to nineteen destinations with a fleet of Airbus A320-200 aircraft. Vistara was the first airline to introduce premium economy seats on domestic routes in India. Turbo Megha Airways Pvt Ltd, operating under the brand name TruJet, is an Indian low-cost regional airline based at Rajiv Gandhi International Airport in Hyderabad. It was founded in 2013 by Vankayalapati Umesh, managing director of Turbo Aviation, and includes actor Ram Charan as director and brand ambassador. The airline, which began operations in July 2015, focuses on connecting Tier-2 cities and targets pilgrims and middle class travellers. As of November 2016, TruJet flies to ten destinations in India using four ATR 72 aircraft. In May 2017, Trujet was the eighth largest scheduled airline in India with a 0.5% market share. Zoom Air, the brand name for Zexus Air Services, is a regional airline based at Indira Gandhi International Airport in Delhi, India. Founded in 2013 as Zexus Air, the airline obtained its air operator’s certificate in February 2017 and began operations later in the month. As of March 2017, Zoom Air flies to seven destinations in India using two Bombardier CRJ200’s.